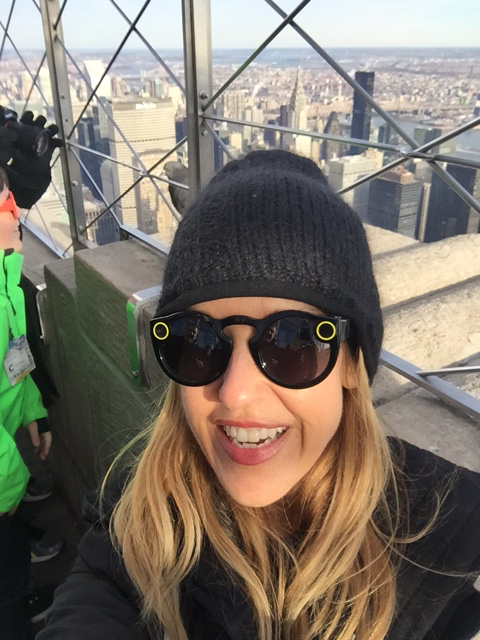 Spectacles are Snapchat’s video capturing sunglasses that offer point of view perspective for your snaps. They are the must have tech toy of the moment, and very hard to get since the pop-ups that sell them are there one moment and gone the next. By the time you are reading this I’m certain the Manhattan location we visited will be closed. A small camera in the frame, allows the wearer to shoot 10 seconds of video which directly links to their Snapchat account. Each pair costs $129.99usd and customers are limited to 2 each – purchases are tracked by your credit or debit card to ensure the limit is enforced. Never backing away from a challenge I embraced this one with determination, intellectual tenacity and my eyes firmly focused on the prize. 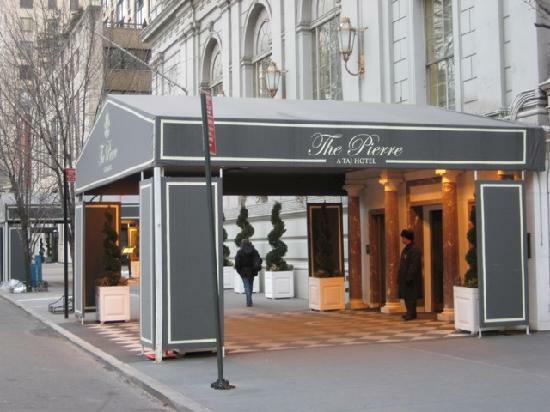 Upon arrival in New York, we checked into the Pierre Hotel on 61st street: location, location, location. 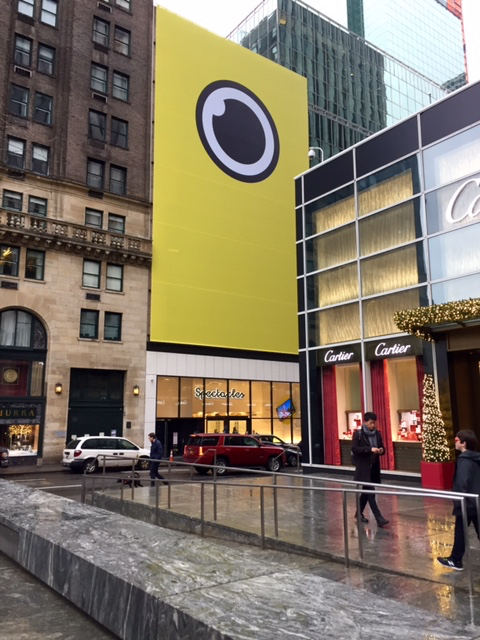 Across from Central Park, close to Fifth Avenue stores, but most important, around the corner from the Fifth Avenue Snap Chat Spectacles pop-up. After a quick bite at Quality Italian on 57th we headed over to the Spectacles pop-up on 59th near Fifth, to do reconnaissance. We were anticipating a camp-out-overnight situation, something I haven’t participated in since my teens,so we needed to take stock of it all. The Spectacles pop-up on 59th and Fifth in NYC. Wait what? The line ups were reported to be ’round the block and lasting 5 hours plus. But to our delight, at 9:30pm, the store was open and there was literally no one in line; not one single individual. Turns out Snapchat had decided to extend their pop-up hours for the holidays and nobody else received the memo! 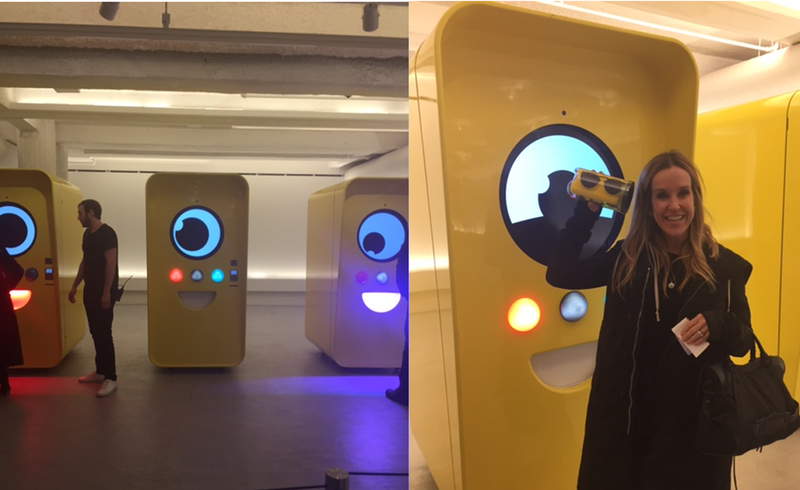 We scurried to the front of the store where we interacted with the Spectacles Bot; the cartoonish vending machine that sells you your Spectacles. For the next 36 hours I felt as though I was a team member competing in The Amazing Race. 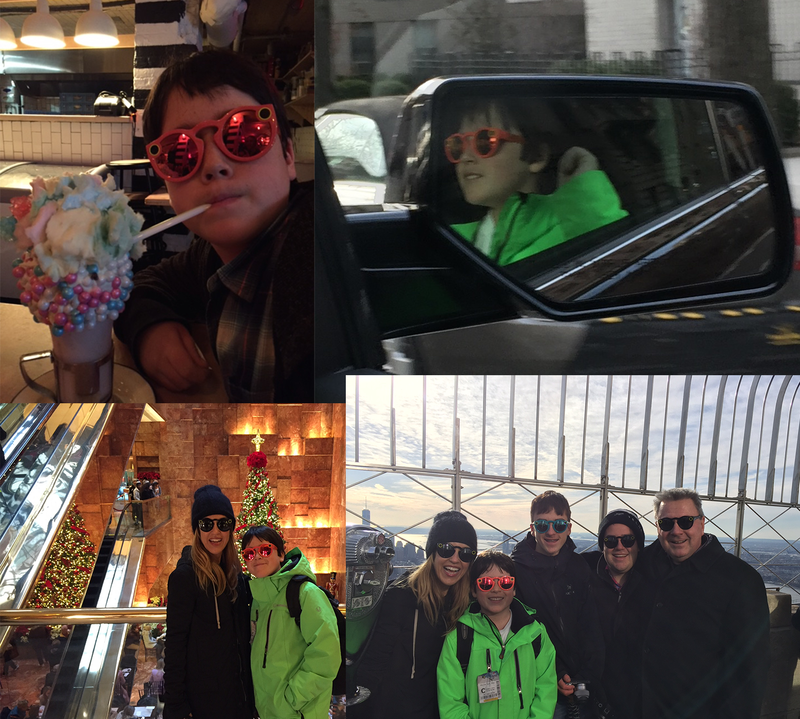 We “snapped” at Juice Press in Soho, Joe’s Pizza in the village, at Grand Central Terminal, in front of the tree at Rockefeller Center, around the 911 Memorial, crossing the Brooklyn Bridge, in Times Square, in President Trump’s lobby and even atop The Empire State Building. Wearing our matching special sunglasses, indoors and out, daytime and after dark, we must have looked like we were part of some tech secret service. Well we were really. Did we love them? Was it worth the trip? The point-of-view memories, which you can share and always access from within your Snapchat app, are literally one of a kind: mission accomplished. Clockwise from top left: At Black Tap for milkshakes, riding in limos, atop the Empire State building, in President Trump’s lobby: you name it we snapped it.